A hospital is a health care institution providing patient treatment with specialized medical and Hospitals. 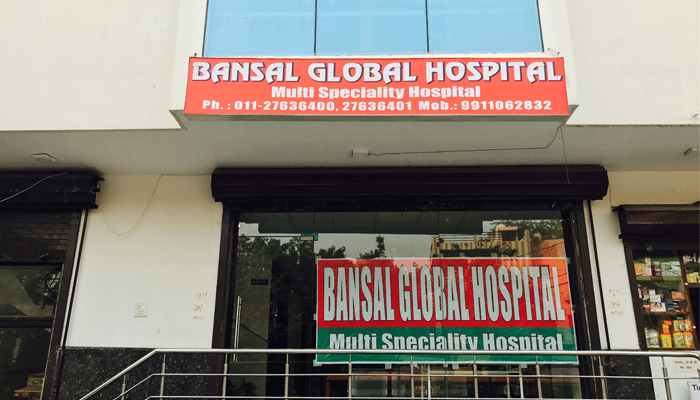 A world-class private hospital located in North-West Delhi, the Bansal Global Hospital offers the best treatment possible and care to its patients round the clock (24×7).The services are provided under the aid of doctors and specialists renowned for experience and expertise in their respective fields. The doctors are recognized as being at the forefront of medicine, having worked in Delhi’s best hospitals such as Deen Dayal Hospital, Hindu Rao Hospital, Jaipur Golden Hospital, RML/Willingdon Hospital, Charak Palika.